For job hunters lucky enough to have more than one employment option to choose from, it’s important to look beyond salary and evaluate the other benefits offered by your prospective employer. These include things like health, life and disability insurance, vacation time, and summer Fridays. Good employer benefits also include a good retirement plan. Yes, some retirement plans are better than others. A really good one can increase the value of your position with an employer, and may even trump a higher salary at another employer. What makes one retirement plan better than another? Here are is an explanation of the types, and some guidelines to help you compare. Employers may offer more than one or a combination of all three. The least common but most valuable is known as a defined benefit plan, which is what most of us think of as a traditional pension plan. In this type of plan, the employer makes contributions to the employee’s account and guarantees a certain amount of monthly income at retirement. This might be a percentage of salary or a specified dollar amount. How much you receive may be based on your time spent with the company, your age, your salary, as well as other factors. Pension plans are protected through the Pension Benefit Guaranty Corp., a government agency that steps in if a company fails or can’t make good on a pension promise. As recently as the 1980s, nearly 80 percent of large companies offered defined benefits plans to employees. Now that number is below 30 percent, and it is only expected to decrease. If you are fortunate enough to be offered a job with a defined benefit plan, carefully consider its value when comparing offers. A defined benefit plan can add significant income to your long-term retirement. However, check to see what happens to the defined benefit plan if you leave the company prior to retirement. Many defined benefit pensions are not portable, meaning you can’t take it with you when you leave the company. Although some companies offer cash balance plans, which can be moved into an individual retirement account or 401k if you change jobs. A far more common option these days is the defined contribution plan, such as a 401(k), 403(b), or 457(b) plan. There is no set amount promised at retirement. 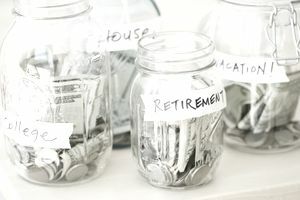 Instead, the employee must save and contribute a set amount of pre-tax paycheck dollars, choose how they are invested, and manage the account now and in retirement. Unlike pensions that put the retirement risk on the company, defined contribution plans leave the risk and most of the work to the employee. On the bright side, the money can stay invested tax-deferred, even if you leave a job. What makes a 401(k) plan great is its investment options and employer match. Investment options should include low cost, no-load mutual fund options, as well as a life cycle fund that allows a professional manager to pick the choices for you. Great plans also offer employer matching in the 401(k), where the employer contributes up to 6 percent for every dollar (or 50 to 75 cents on the dollar) that you contribute. Some companies match employee contributions with corporate stock. Defined contribution plans also include profit sharing plans, money purchase plans, and stock bonuses. They are all very similar, in that employers offer something extra to employees each year. With a profit sharing plan, employers allot a percentage of the company’s profits to employees each year. However, the employer is not obligated to give the profits every year. With money purchase plans, employers are required to make annual contributions of a certain percentage to each employee’s account. If employer contributions are given in the form of stock, it is a stock bonus or employee stock ownership plan (ESOP). Each of these plans adds savings options and potential dollars for retirement. Another type of retirement plan an employer may offer is an individual retirement account or IRA plan, to which the employee contributes a certain amount each year and the employer may or may not make matching contributions. There are various types of IRAs, including SEP IRAs, and SIMPLE IRAs. The different account types vary in terms of how much you can contribute each year, and how much your employer is responsible for contributing. More important to you are the investment options and employer contributions. Like a 401(k), IRA balances are portable and can be reinvested at any time. Employees may have an even broader array of investment options in an IRA. Still, it makes sense to favor low-cost and diversified mutual funds. ﻿Your prospective employer may offer one or more of these retirement options, which is great for you. If you get a sense of these benefits while weighing job offers, you may find that a great retirement plan makes one offer a clear standout.